The state of California is not known for hockey. Of course, there are 3 NHL teams in the state, all with their own AHL affiliates, and hockey is undoubtedly growing, but it has a small, albeit passionate, following. 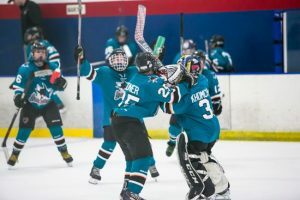 Youth hockey has existed here for decades now, and to try and gain national recognition, youth hockey associations have taken it upon themselves to improve their competitiveness. In doing so, they are hurting the sport and ruining the experience for thousands of players. For youth hockey in California, there is the main governing body, the California Amateur Hockey Association (CAHA). Beneath CAHA, there are two governing bodies: the Southern California Amateur Hockey Association (SCAHA), and the Northern California Youth Hockey Association (NORCAL). Each of these associations has a multitude of clubs to boast, supposedly giving every player in the state a chance to play. Beneath the surface, however, especially as of late, CAHA has done everything it can to promote exclusivity and elitism, which, as counterintuitive as it sounds, actually worsens the level of hockey played. Anyone who has grown up playing youth hockey in California knows that it is a political hotbed. If you know someone, you are usually guaranteed a spot somewhere, and if you come from nowhere, your fate is usually pre-determined for you. SCAHA is home to an astounding 23 hockey clubs. In turn, NORCAL is made up of a respectable 14 clubs. That comes out to 35, not mentioning the countless high schools that have hockey teams. However, by going deeper, you can see that there isn’t so much opportunity. Out of the 35 hockey clubs in the state, a measly 6 have Tier 1 AAA programs. To add, up until Midget 16U, only 4 clubs are in Tier 1. 5 of the 6 clubs are in SCAHA, while NORCAL has only a single Tier 1 program to its name: the San Jose Jr. Sharks. And with the Jr. Sharks, nepotism is the name of the game. Discounting the sheer facts and numbers, there are other things that CAHA has done in recent years to exclude thousands of kids from having a chance to play hockey. As of a season ago, 16U A and 18U A hockey was relegated from their leagues, leaving several clubs with no options for their players. This is because the Tier 1 selection process is so selective; any club who isn’t already home to AAA hockey has almost no hope of ever joining. The way that an organization even earns the opportunity to house a Tier 1 club is by petitioning the CAHA board to “prove their worthiness.” In order to have AAA hockey, they need to prove they can ice competitive teams at a number of age groups from Bantam to Midget 18U, with a major and minor team at each level (16U, 15U). They also need to meet specific facility requirements and other rink demands impossible in the dry state of California where rinks are few and far in-between. At the end of the day, virtually any club not an NHL-affiliated “Jr.” team has the money or resources to have Tier 1 teams. And in the case of the San Jose Jr. 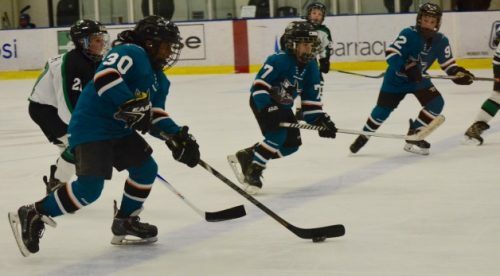 Sharks, with the low number of teams and players to feed their system and prospect pool, it can lead to such poor performance that the Tier 1 Elite Hockey League (T1EHL) can force them out to improve their own competition, which in the case of the Jr. Sharks, is imminent. Because of the dissolving of A hockey past Bantams, CAHA turned Tier 2 AA into a “two-flight” system. There is Flight 1, with the best AA teams, and there is Flight 2, with the poorest AA teams. To make things worse, Flight 2 programs were misled into believing they could compete as equals with Flight 1, when that has been anything but the case. Additionally, the way of assignment to Flights was by way of a “jamboree,” a sort of tournament where teams battled it out to be in Flight 1. But again, with that process came backroom politics where some teams’ destinies were out of their hands. The point of youth sports is to provide kids with an enjoyable experience to play a game they love and improve among some of the best friends they’ll ever make. If they turn out to be a great player, coaches can help them advance onto bigger and better things. 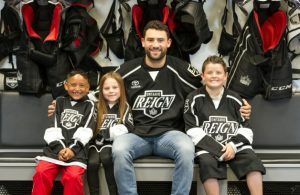 Youth hockey in California has focused too much on being competitive nationwide and pumping out wins and players to make a few select organizations look good, and in doing so has disregarded thousands of players and many organizations. The steps they are taking are in the wrong direction. Brandon, I’m a goaltender for the OAKLAND bears and team NorCal and I highly disagree with your article, I would be a lot worse if it weren’t for this league, also just because our teams aren’t ranked at A does not mean that we don’t play in AA or AAA tournaments tying and beating them. Ryan Miller played in this league for the Santa Clara Blackhawks and of it weren’t for this league we would not have some of the most amazing NHL players. And cutting off hockey for an amazing group of children is a bad idea. It’s not just winning that is the picture for us it is more on the bigger idea on sportsmanship and how to play an awesome sport. I must note if you can find find an argument against California hockey then we can cut off this sport for all children ruining their dreams and having more typical Americans only on video games and fat food without any workout on the sports they love to add to that fact one thing you loved as a child huh what is it well imagine people trying to grab it away from you, yeah it’s not fun getting rid of it. So to conclude there should be youth hockey in all 50 states. Brandon, this season over 150 midget-aged kids who played PeeWee and/or Bantam in California are playing outside of the state, at academies, prep schools or other AAA programs. There are another two dozen or so who are attending Tahoe Hockey Academy, which does not compete in CAHA. The remaining in-state midget AAA and AA teams are, at best, marginally competitive on the national level. CAHA’s tinkering over the past five years has led to kids leaving the state in droves and less competitive teams that remain. Thank you for your comment, and for providing some specific numbers! While kids moving on from the Tier 1 and Tier 2 clubs CAHA has to offer in order to pursue career advancement outside the state can sometimes be a good thing, the point I’ve tried to make (and the point your numbers prove) are that there isn’t enough opportunity to go around for youth hockey players in California, and not many nationally competitive youth clubs (let alone any serious junior hockey opportunities), would a kid want to actually remain in-state. Some of the issues are out of the hands of those running CAHA, but there are undoubtedly steps that can be taken to provide more opportunity for every young player, at every level of competitiveness of hockey. AAA Illinois Hockey blog. I believe it’s called taptalk. If California wants to avoid the train wreck we have in Illinois don’t do what happened to us 20 yrs ago. Thank you for the comment– I’ll make sure to look at that blog. This definitely is a nationwide problem not just secluded to CAHA, and I’m glad you could relate! Thomas, I appreciate the perspective. Writing this article from my own, the point I was highlighting is that too many California kids feel like they don’t have the opportunity to play. As a former NorCal hockey player, I know lots of other kids who can attest to the lack of options as they get older and want to continue playing hockey in California. Club teams are few and far in-between. I’m aware that I don’t offer any immediate solutions (keep in mind this article is more than 8 months old, things could have improved, I’m not there to see at the moment), but I’d be more than happy to try and put out a more productive article in the future that offers up some kind of solution. Thank you for the comment and I look forward to your comments on some of the ideas I present soon! If anything you were generous and forgiving in your assessment. What CAHA has done with Tier1 and Tier2 is driving people out of the state in droves. It is out of step with the more established youth hockey systems and out of step with USA Hockey. Funny that Tom Hancock (President of CAHA) replies questioning your facts, but provides no details as to the items he is questioning. CAHA and SCAHA make all their decisions without any outreach or feedback from the parents who are the actual clients of the member clubs. As I personally know hundreds of families across a number of clubs, I have yet to hear any positive feedback in regards to the Tier2 Flight system outside of a handful of people who play for a few select top Flight2 teams. For the most part people are livid at the ongoing changes (3 years straight) and rule changes aimed at “Flight2” teams, many of which were instituted AFTER parents had signed onto their teams. The “Flighting” evaluation is secretive and to date families have been provided no criteria, even going so far as not to have scores or statistics made public. After the first year when 2 of the supposed “Flight2” challenging teams won their “play in” games, you would think that CAHA would have done a better job this season, but yet again politics and a ridiculous jamboree of 40 minute running time scrimmages was foisted upon us, and yet again CAHA clearly got it wrong, placing teams in Flight1 that are losing scrimmages and other out of league games to Flight2 teams, despite the fact that SCAHA with no prior discussion, changed the rules this season so that Flight2 teams aren’t even given the chance to play Flight1 games in what are essentially SCAHA scrimmages. CAHA was created in order to provide Tier level competition between Socal and Norcal clubs, but at this point, you have 1 or 2 Norcal teams in a flight, making the entire idea of CAHA Tier2 play farcical. And of course, last season, CAHA forced Flight2 teams in 2 divisions (12U and 14U) to travel to Norcal to play a CAHA weekend when there were NO Norcal teams in Flight2! CAHA has indeed lost its way and that all started when the powers that be started adding rules that pick winners and losers in advance, and limiting competition and parent choices seemingly in complete ignorance of the geographic issues that many families face. These teams are all at a disadvantage at the start of the season, often having to form hybrid teams which take time to mature and improve. That these teams deserve the opportunity to prove themselves does not figure into the Flight2 system. The larger clubs who are entirely orientated around their Tier1 franchises benefit from the system in a variety of ways, including playing underage teams up into Tier2 in preparation for advancement to Tier1 which waters down Tier2 and causes California referees to officiate aggressively to protect the smallest players in a manner that leaves kids gun shy from actual legal body contact play, and unprepared for out of area tournaments and progression to full contact. Beyond that, the larger clubs are often are given preferential treatment in Flighting decisions as most of them have multiple Tier2 teams. Remove the Tier1 franchise rules that allow only the largest clubs to have Tier1 teams. Turn Tier2 into an age based system (just as they do in Flight1) with the full set of rules, playoffs and respect accorded Tier1 and Tier2 Flight1 teams. If that can’t be done, get rid of the Flighting system. Get CAHA back to its original mission of facilitating competition up and down the state in a fair and impartial manner. And while your at it, study why the quality of refereeing is so poor in California. That is something that perhaps can be fixed. Thank you for the comment! I appreciate the parent’s perspective, and am glad you were able to relate to the article! Nice job offering up some solutions at the end, too! Thank you! I’m glad you liked the article and found it relatable. Greetings from northern Illinois! Land of NIHL, the largest youth hockey organization in America. Great Article & very true! Thank you! I’m glad you could relate, especially being from another state!